The USSD platform, Unrestricted Supplementary Service Data (USSD), is used by the mobile interaction business to send text between a mobile phone and an application program interacting promptly with end-user. USSD gateway transactions only take place while mobile phones are turned on. USSD messages travel over SS7 signaling channels, providing a fast way for customer connections and data transfer. USSD platform transactions respond in less than a second. Mobile initiated and network initiated USSD for mobile user interaction. The USSD center has full SS7 interfaces and flexible IP interfaces that allow interfaction with applications that manage value added services. 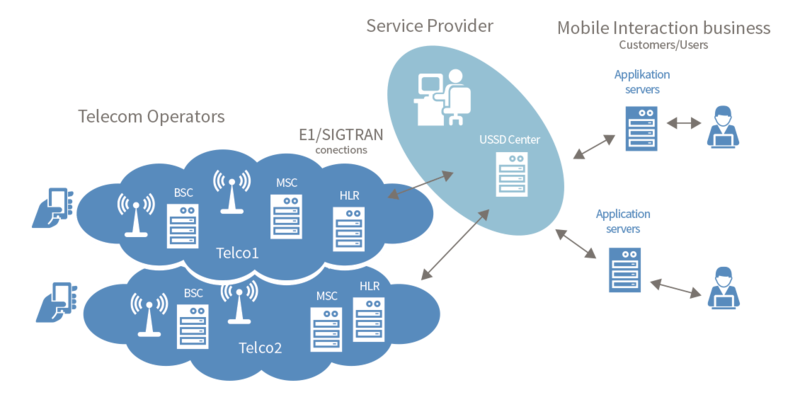 Operators in the ICT industry can use the USSD gateway for management of USSD transactions between mobile and the internet based part of the industry. This enables the operators of the USSD center to offer value added services based on USSD interactions with mobile end users and to save costs in the operations.